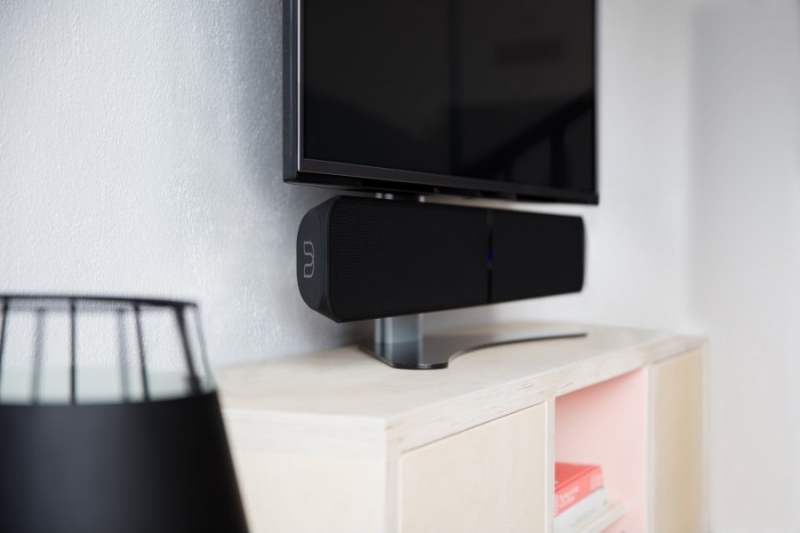 Der Bluesound TS100 Universal TV-Ständer für die PULSE SOUNDBAR ist der beste Weg, um die Soundbar bequem zu Ihrem Fernseher hinzuzufügen, wenn der Platz beschränkt ist. The TS100 Universal TV Stand for PULSE SOUNDBAR is the ultimate solution to adding high-res audio to your HD TV when space is limited. 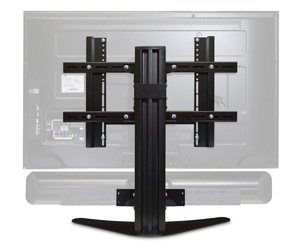 Fit your television to the top of the TS100, and then using the PULSE SOUNDBAR’s supplied wall mount bracket, simply place the soundbar beneath your TV for a seamless one-piece look. It’s that easy.